Construction equipment, building supplies ads in Melbourne. Thank you for visiting our free advertising website Construction equipment, building supplies, Melbourne section. We provide high response free classifieds and free advertisement. Use our online free Construction equipment, building supplies classifieds placement system to find, list, offer Construction equipment, building supplies online! Heavy Equipment hire rental and sales specializing in large rockbreaker hire. Excavators up to 67 Tonne, Loaders up to 15 Tonne. Agents for Seal Saver and Sand Master, the sand bag filling machine. Fill up to 4800 sand bags in a 8 hr shift. Please call 1 300 125 250 for more information. Website: http://paulls. 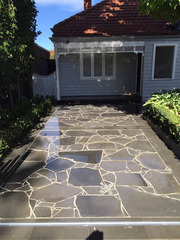 Searching for Bluestone Pavers supplier in Melbourne? Aushen Stone & Tile is your leading bluestone pavers & tiles supplier in Melbourne and across Australia. We are offering low prices on stunning Bluestone tiles and stone products sourced from the best quarries in Melbourne. Bluestone paver combines a subtly textured surface and generous proportions offering a strong, durable, and bold addition to any outdoor project. Why Onspot Demolition Company in Melbourne is your Right Choice? OnSpot Demolition Melbourne is the trusted and authorized demolition company in Melbourne. If you want to avail our services freely contact to our Friendly Team. Call us- 0416 610 105, Email us: info@onspotdemolition.com •	Experienced and well trained demolishers who are capable to handle any complex task. Construction is a massive task. Arpachi has made it easy for you. We are the one stop solution to all construction services. The company ambition to provide cost effective and result driven solution for all the clients. we want to lead the market through endless efforts..
We build custom homes and provide a one-on-one service at every stage of the process working with an expert team of tradesmen to ensure everything is completed with a high attention to detail and within your budget. Call us on 0402 122 410 to discuss your custom build today. Website: http://www.wojcickiconstructions. Liquid Steel’s epoxy flooring is a 2 component flooring system designed to offer a protective coating, that is easily cleaned, durable, hard wearing, seamless and chemical resistant. For a free quote contact us today. Phone: 0434 111 061 Email: nick@liquidsteel.com.au Address: 2/1 Adina Court Tullamarine VIC 3043 Australia Website: http://www. FKR Constructions & Services specialise in all aspects of concrete & concrete repairs. At FKR Constructions & Services no job is too big or too small, If we're unable to assist you, we will refer you to someone who will, so please don't hesitate to contact us..
Onspot Demolition is the top demolition service provider in Melbourne; we are expert in demolition and Recycling Demolition process, Commercial demolition. Residential demolition, concrete removal, asbestos removal, Excavation Melbourne. Following tasks need to be addressed: -	Asbestos removal(if Necessary) -	Securing relevant permits -	Disconnecting utilities + identification of remaining utilities -	Development of site- specific safety and work plans. Global Lift Hire is a new Werribee based business. We specialise in providing new and reliable electric scissor and Boom lifts for short and long hire term periods. To all of Melbourne and it's surrounding suburbs. Our experienced team will make sure your hire with us will not be your last. Phone: 038742 3788 Email: matt@globallifthire. We are among the top demolition contractors in Melbourne. For an ensured safe, clean and professional site, you'll need a trusted demolition contractor Melbourne available all time. On Spot Demolition is the company to call. We are the trustworthy company when it comes to residential and commercial building demolitions in Melbourne. Geelong owned and operated new home builder building homes throughout Geelong and the surrounding coastal areas. Our focus is on high quality sustainable builds including transparent costings and incredible customer service. Phone: 03 5221 6642 Email: sales@palladiumhomes.com.au Website: http://www. For all demolition work you require a skilled team that will leave lasting outputs. Here at On Spot Demolition Melbourne, we only leave memories, taking care of the job to the last detail.We are one of the leading demolition companies in Melbourne. As industrial, residential and commercial specialists, we can provide a complete demolition service, as well as asbestos removal services. On spot Demolition Melbourne is Top Demolition Service provides in Melbourne. We are expert in Commercial Demolition, Residential demolition, Asbestos Removal, House Demolition, concrete Removal, Demolition Company and Excavation in Melbourne. Call Us Today: 04 16610105 For more information visit: http://www. 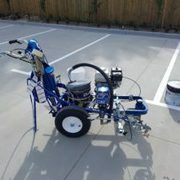 Ozmarks is from one of the best Line Marking companies in Melbourne. We provide a quality line marking services including thermoplastic school playground markings by professional line markers. Visit today to find more! Be unique & different! Contact Us : Company Name : Ozmarks Address : 124 commercial Rd Mount Evelyn City : Victoria Post code : 3796 Country : Australia Phone : 0484 625 199 more info visit us : http://ozmarks. The famous company OnspotDemolitionMelbourne is offering the best demolition services for all the residential and commercial properties for economical prices in Melbourne. Hire their services, click on http://www.onspotdemolitionmelbourne.com.au/commercial-demolition-melbourne/. Licenced builders limited or unlimited are to be engaged by the customer if the bathroom works is valued over $5000. Under $5000 the contractor is not required to be licenced. Any bathroom with building works over $16000 a formal minor works contract is to be engaged between customer and builder which covers building works for 6 years. Are you planning to construct a new construction and want to demolition your old property, thenOnspotdemolitionmelbourne.com.au is the right choice to get reliable and secure demolition services in Melbourne.To get more details, please visit http://www.onspotdemolitionmelbourne.com.au/house-demolition-melbourne/. 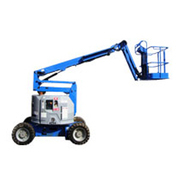 Looking for boom lift in Queensland? AES offers new & used boom lift for sale in Australia. Send us quote request for further details. http://www.accessequipmentsales.com.au/quote-request/. Ceiling Distributors have an extensive range of premium acoustic ceiling panels. Perforated or slotted, Cemintel Fibre Cement, Timber veneer panels, Perforated Plasterboard panels, Laminate finshes, Paint or Lacquer coatings even Powder coating.Ceiling Distributors you can find the widest range of Ceiling. ​Looking for hook lift bins in Australia and New Zealand? Let your search end at New Bridge Services. Buy directly from the store or check and order online. Quality is an assurance and there is an array of products to choose from whenever you have New Bridge Services as your supplier. We also supply other industrial equipment including mining machines, LVL scaffolding planks, temporary fence and filter cloths. ​New Bridge Services is one of the top skip bin manufacturers in Australia with a wide range available for industrial and domestic uses. If you need large skip bins for cleaning sites after construction and renovation activities, let New Bridge provide you the units in any size. The bins can be bought outright or taken on a lease term. As one of the premier steel fabricators in Melbourne, we at Wainwright Engineering Services reckon to be well suited to meet your requirements. We furnish you with a range of bespoke gravity roller conveyor solutions. We cater for diverse industries including automotive and hospitality with our products suited to a specific application and industry. jjbins provide skip bins and hook clip bins for hire in melboure offers different types of useful services to our residential, strata and commercial clients. Our range of services includes rubbish removal, waste reduction, junk pick up, lawn care and lawn mowing.. Swim more is in to pool builders Melbourne and offering services related to your pool. Pool is a luxurious asset of any location. The cleaner it is better it looks. Today we at swim more poll builders Melbourne assures that your pool is maintained. Our experienced professionals when go for pool building they design according to your requirements. Looking for skip bins for sale? Go for the industry leader, New Bridge Services which has acquired a name in providing durable and rust free skip bins for residential and industrial purposes both. Due to its uncompromised expertise, the company has acquired enough experience to understand the requirements of different industries and provide the most appropriate solutions. We are Melbourne based professional roofing contractor that skilled in providing roof repair, painting, cleaning, installation services at very reasonable prices. For additional information or for a free estimate, please free to browse our online website..
Stone Culture is an Australianbusiness based in Melbourne dedicated to educate, inform, expand and benchmarkthe range of Natural Stone available in Australia.We offer a full range ofnatural stone paving, cladding and landscaping services, directly from selectedquarries, from concept and design to the laying of the stone. Passionate concrete flooring company, Changing the way people think about concrete flooring. With customised options to suit any budget and all lifestyles. We can handle the project from concept/design to complete installation. If you have a question about your flooring, we would love to talk to you today! 03 9467 9111. LVL Scaffold planks are widely used throughout the industry and are substitutes for conventional timber. They are also used where modular systems cannot hold the size and shape of the scaffolding needs. New Bridge Services is one of the trusting scaffolding suppliers in Australia and has products that are tough and lasting. Australia free ads for Construction equipment, building supplies, Melbourne, Construction equipment, building supplies free ads Melbourne, Construction equipment, building supplies for sale Melbourne, Construction equipment, building supplies to buy in Melbourne. Find on this page free classifieds for Construction equipment, building supplies in Melbourne. This listing includes classifieds for sale and to buy in Melbourne. FREEADSAustralia Melbourne offers you a platform to post free advertisements or classifieds for Construction equipment, building supplies in Melbourne. FREEADSAustralia helps you search, find buy, sell, rent or hire in various categories like apartments, goods for sale, local services, cars , jobs and many more in Melbourne. If you posted an advertisement in category Construction equipment, building supplies of FREEADSAustralia Melbourne before please use Edit my ads button to change or cancel your ad. Construction equipment, building supplies Melbourne ads Melbourne, Construction equipment, building supplies classifieds Melbourne, Construction equipment, building supplies free ads Melbourne, ads for sale Melbourne, ads to buy Melbourne, FREEADSAustralia Page number 2-1. Find here ads for sale, to buy and rent in Melbourne. Goods for sale in Melbourne, vehicles for sale in Melbourne, Melbourne real estate for sale, Melbourne property for sale, property for rent in Melbourne, business ads in Melbourne, Melbourne business classifieds, services in Melbourne, Melbourne services ads, jobs in Melbourne, pets for sale in Melbourne, Melbourne dating, Melbourne cars for sale.